My BLOGIVERSARY celebration will include a very special giveaway being organized for this month, and today's manicure which I'm super proud of. I've been a Dior Beauty devotee long before I ever even had the idea of blogging. 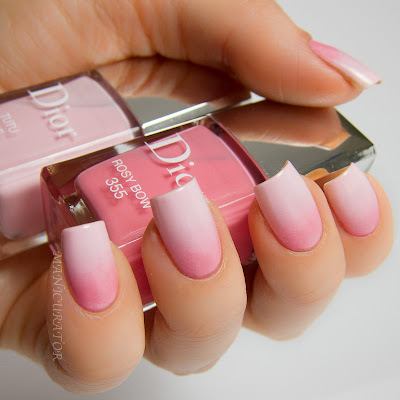 So to honor that, and the fact that I've earned the position of being on their short Blogger List, I created this..an "Ode to Dior" manicure. 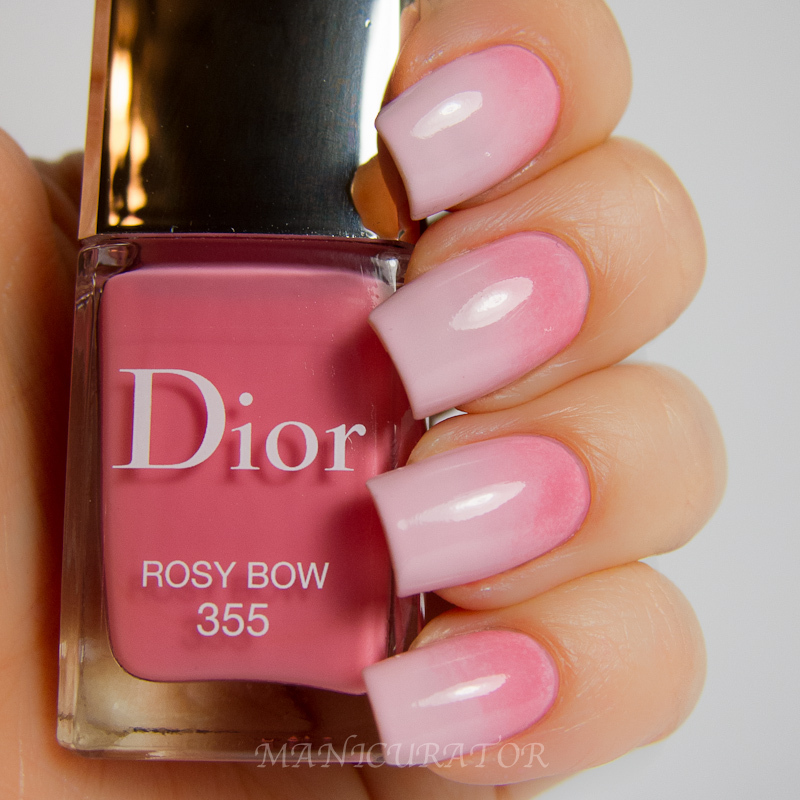 I used the Dior Cherie Bow Spring 2013 collection for this. I ADORE this collection. I'm a fool for pink and grey, in fact, those were my wedding colors. So these colors speak to me. Have you noticed my blog colors include a pink gradient and grey background? At first I only had Rosy Bow and Gris Trianon..as much as I loved them, I wasn't inspired to do nail art until Tutu arrived. Gah. I loooove her!!! I had in my mind the beloved houndstooth check motif which Christian Dior loved, and adorns the Spring Cherie Bow eyeshadow palettes. 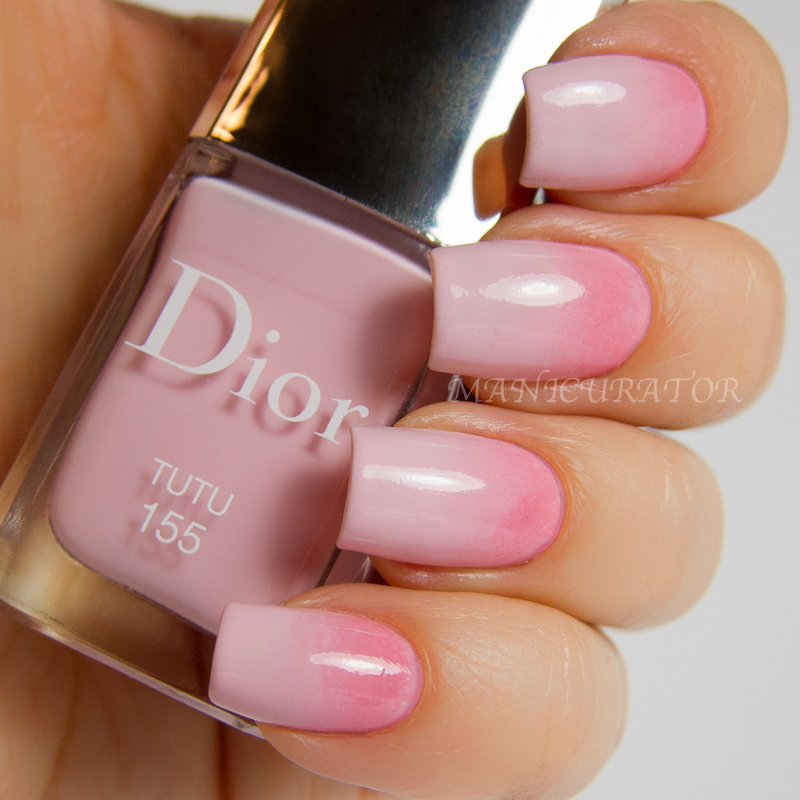 Tutu is the prettiest light pink ever. I started this mani with 2 coats of Tutu. Then sponged on Rosy Bow by the cuticle. I topped off the gradient with Dior Gel Coat which is nothing short of amazing. 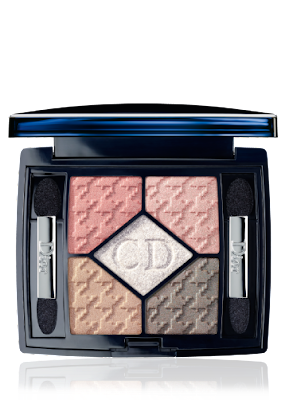 I loved this so much I wore it for 2 days before I added my Gris Trianon. 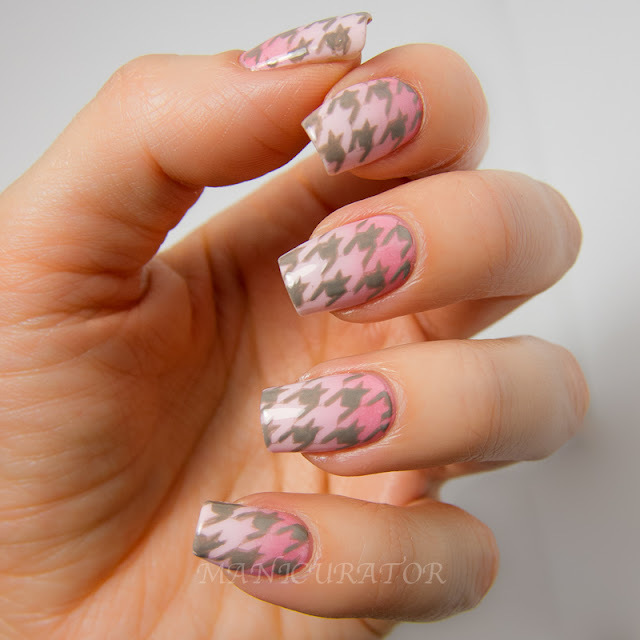 I wasn't sure if I could freehand the houndstooth so I used a Bundle Monster plate, and had some troubles, some success. Let's just say I'm no stamping expert yet. In addition, Gris Trianon is not made for stamping and transferred on the light side..so I used my tiniest nail art brush and painted over each houndstooth! Again, I topped this with Dior Gel Coat. You can see with this lighting and the macro camera setting, that it's not perfect...but I'm certain this is my all time favorite mani so far!! :D I wore this for days, until I absolutely had to take it off. Thanks for being here everyone!! I truly appreciate it! You too Jess! Love being being friends with you xo And yay pink and grey! LOVE. Rosy Bow is the most perfect pink shade, and these three together are perfection! I love your art using them! Happy Blogiversary; I look forward to reading many, many more of your posts and enjoying your swatches and art! Yours is my favorite nail blog, hands down! Happy Blogiversary! I am fairly new to your blog but am really enjoying it...and it's obvious you do too, which is what makes it a great blog. Thanks so much! 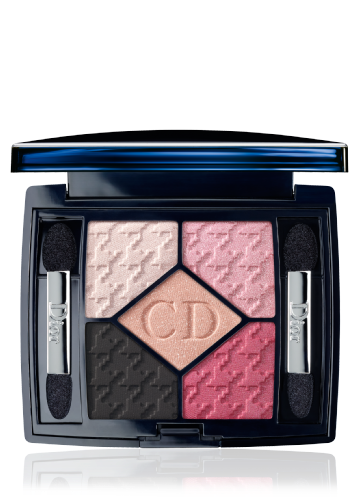 Lucky girl to be on the Dior Blogger list. Lucky, lucky girl. Those pinks are to die for. This is absolutely stunning!!!! Congrats on this awesome milestone, it's so exciting and crazy to think, wow, I've been blogging for a whole year! It's also crazy to see how far you've come. So glad I met you, you're so talented and sweet! Happy Blogiversary! What a stunning mani. Congratulations on this milestone! You have achieved so much, it's amazing to think it's only been one year. How did you find and join your first nail art challenge? Was it just that you followed a blogger who decided she was going to launch one? I think it'd be excellent for inspiration and experience since I'm juuuust starting out, but I have no idea where to start. Thank you so much, and congrats again!! *gaaasp* means it's almost been a year since I found you on the interwebs! Okay, well actually I found your blog last year May but whatever! Congratulations! :D The mani is very pretty! Love the shades together! I love them, they look fantastic!! I love your blog and many of you creations go to my inspiration folder... This post just proves me that improvement is absolutely possible and that one day I'll get there! Happy blogaversary and have a great day! Wow, these colours are just so, so pretty, and the look gorgeous together. I definitely need these pinks in my life! 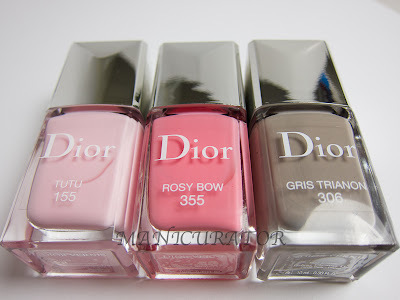 I love Gris Trianon (especially with the pink)!!! I've always wanted to try Dior nail polish, but $24 is more than I'm willing to spend on a nail polish. I might have to drop some hints for my birthday! Beautiful mani :) And those shadow palettes...so pretty! I remember emailing you about the Versatile Blogger award, lolol, and I was all, "I have a feeling you're going to be big." :) Obvi, I was right, lol :) Congrats on one year and all your success! 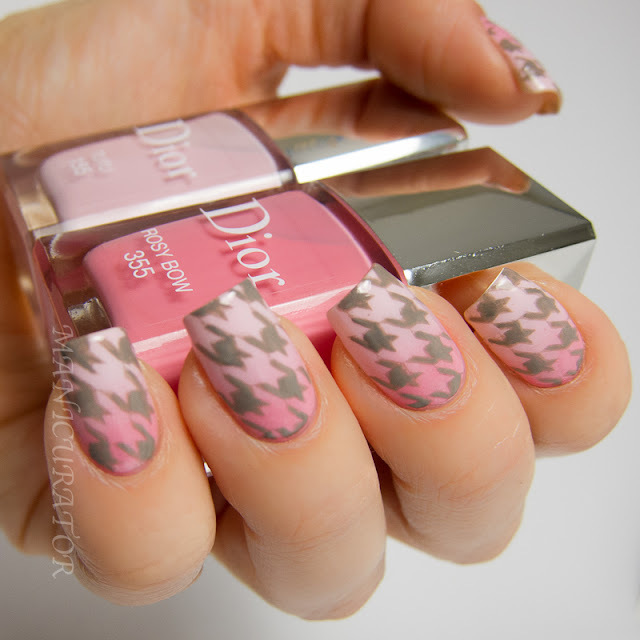 and wow wow wow this manicure is adorable! I absolutely love the gradient. It's delicate and beautiful ;) and the gray is a nice finishing touch! The gradient is so soft and delicate - I love it!